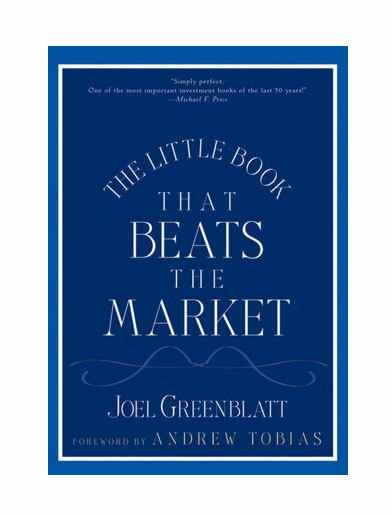 The Little Book That Beats The Market - IFA Vintage and Current Book Library - Index Fund Advisors, Inc.
Notes: In The Little Book, Joel Greenblatt, Founder and Managing Partner at Gotham Capital (with average annualized returns of 40% for over 20 years), does more than simply set out the basic principles for successful stock market investing. He provides a "magic formula" that is easy to use and makes buying good companies at bargain prices automatic. Though the formula has been extensively tested and is a breakthrough in the academic and professional world, Greenblatt explains it using 6th grade math, plain language and humor. You'll learn how to use this low risk method to beat the market and professional managers by a wide margin. You'll also learn how to view the stock market, why success eludes almost all individual and professional investors, and why the formula will continue to work even after everyone "knows" it.